It’s Spring Cleaning time! 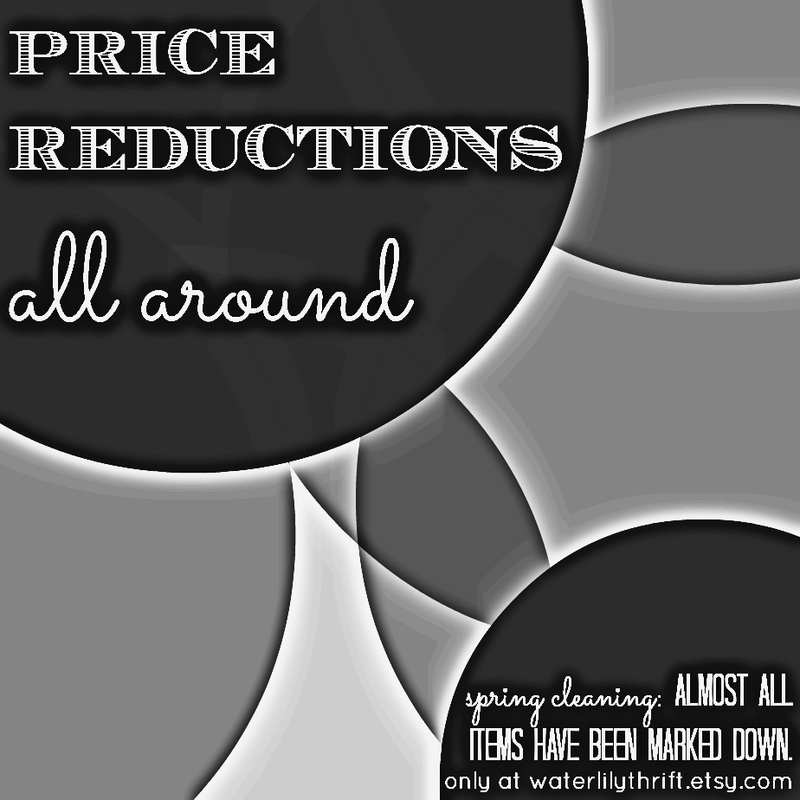 Nearly all items at Water Lily Thrift have been marked down $2.00-12.00 from their original listing prices! Shop away – no coupon required. Check back in the next couple of days for some new shoes, too!